Paints, wood stains, plasters and tools for the whole house. Industrial coatings for production process, maintenance and bridges constractions . Paints and lacquers for windows, doors and furniture tools. 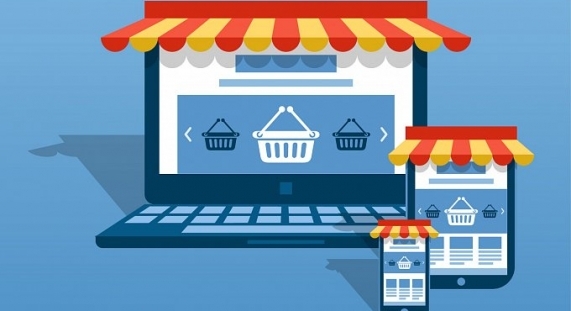 Buy easily and fast from the comfort of your home or office. 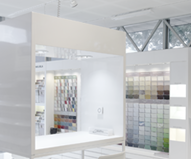 Finnish producer Tikkurila offers a broad range of premium decorative paints for consumers and professionals for surface protection and decoration. Finkolora is a range of decorative paints at favourable price. Interior paints designed for walls and ceilings, façade paints and plasters, wood finishes. Paint brushes, paint-rollers and tools for professional painter and do-it-yourselfers from Swedish producer are the guarantee of high satisfaction. Maston, Finnish Manufacturer of sprays, offers a wide range of high quality top spray. Finnish producer Teknos is one of the European leaders in industrial paints for wood industry. Zorka Color is a range of decorative paints at favourable price. Interior paints for walls and ceilings, façade paints and plasters, wood finishes. Jedynka is a range of decorative paints at favourable price. Interior paints for walls and ceilings, façade paints and plasters, wood finishes. Kiilto is a Finnish producer of adhesives for the usage in households, building and industry. OWATROL produce a range of high quality, long lasting coatings which offer exceptional protection and superior finish. BioComb develops products for the consumer market as well as for industrial purposes. Paintable wallpaper for a cozy atmosphere, from Europe’s largerst wallpaper producer. Dare to dream, then make your dreams come true! Dejmark was established in 2012 by acquiring of four companies from Finnish paint producer Tikkurila in Czech Republic, Slovakia, Hungary and Romania that have been on market since 1990s. The company also starts to operates in Bulgaria from 2017. Dejmark is a commercial company with its main focus of activity on the sale of decorative and industrial paints, painter´s tools and devices. It is a leader in the sale of premium paints. The Dejmark team consists of more than 80 service oriented professionals. This dynamically expanding group of experienced people has developed and excellent position for Dejmark which is ready for further success. We have a broad network of customers consisting of approximately 2000 companies, of which more than 500 strategic partners with tinting machines. ARE YOU LOOKING FOR A STRONG PARTNER IN THE WORLD OF PAINTS? Address your wishes to us and we will show you that it´s our paints and services that you can trust. Dejmark will import and distribute a wide range of quality products to Bulgaria. Dejmark is constantly trying to improve the quality of delivered products, solutions and services. Therefore, we put into operation a new online store eshop.dejmark.sk / eshop.dejmark.cz in Slovakia and the Czech Republic.